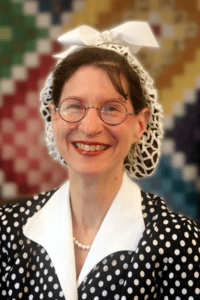 Linda Shenton Matchett is an author, speaker, and history geek. A native of Baltimore, Maryland, she was born a stone’s throw from Fort McHenry (of Star Spangled Banner fame) and has lived in historic places all her life. 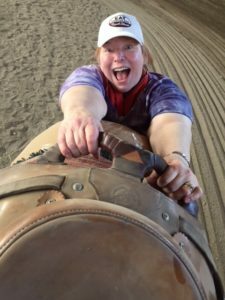 Linda is a member of ACFW, RWA, and Sisters in Crime. She is a volunteer docent and archivist at the Wright Museum of WWII and a trustee for her local public library. Love’s Rescue is a modern retelling of the biblical book of Rahab. I set the story in Paris during the last weeks of the German occupation of France during WWII. While researching the book, I read numerous memoirs and interviews of folks who lived through the occupation. Two aspects discussed time and time again were rationing and the difficulty in getting food. People with any amount of land at all planted produce to supplement the meager supply in the shops. If they were fortunate and an egg was available, it would be fried to a runny consistency and poured over the top of the dish. Peel garlic cloves. Smash with end of knife, then cut into a small dice. Cut onions, bell pepper, and tomatoes into a medium dice. 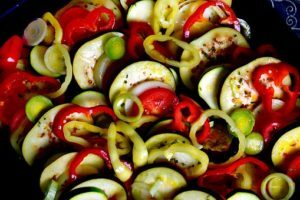 Chop the eggplant and zucchini into 1” cubes. In a large saucepan or pot, warm olive oil to coat the bottom of the pan. Warm over low heat. Add the onion to the pot and cook until tender – about five minutes. Add remaining vegetables to the pot. Add a generous pinch of salt and a light pinch of pepper. Cover the saucepan or pot with a lid and cook over medium-low heat for approximately 40 minutes, until all the vegetables are tender and there is little liquid in the pot. Serve on your favorite platter. To celebrate her tour, Linda is giving away a grand prize of a French/WWII themed gift basket that includes a WWII Word Find book by Linda Shenton Matchett, Love’s Rescue – Wartime Brides Book 2 by Linda Shenton Matchett, French-milled soap lavender scent, a Fleur-de-lis ribbon book mark, a set of three note pads with French motif, and a set of cocktail napkins with French motif!! This was a super quick read. I honestly wondered how the author could do this story justice in so few pages. But I have to say she did. In a matter of ninety-five pages I came to care for these characters and understand them. I have always likes Rahab’s story and how God used her and the same is true for Rolande. I loved her redemption story. I don’t want to give too much away. But if you enjoy Rahab’s story in the Bible and WWII stories I think you would enjoy this quick read. This was an interesting read. It wasn’t highly intense but there were some tense moments. Wondering when things would collide and the closer Derrick got to Harper the more interesting it got for me. Since I didn’t read the first book I don’t know if Harper’s story was already told in that one but reading the second I loved the hints that were slowly dropped about her life before we meet her. She definitely has a story of redemption and it shows how God can use people no matter what. Overall, an easy read that I found interesting. I haven’t read many books by Tracie and I don’t know why. I really enjoyed this book and look forward to this series. This book as a little bit of everything, mystery and romance. Lizzy is a strong character with a unique gift for riding yet she is feminine and kind. She truly cares for others. I also enjoyed the setting as it is different than when I typically read. The other characters that are introduced are interesting as well and promise to good reads in the future. A copy of this book was given to me through Celebrate Lit Team. All opinions are my own.